The Arizer Air is a sleek and powerful portable dry herb vaporizer, lightweight and easy to operate. It features a high quality ceramic heating chamber, a set of glass dishes, and a convenient replaceable 18650 battery for maximum longevity. The Arizer Air is a sleek and powerful portable dry herb vaporizer, lightweight and easy to operate it features a high quality ceramic heating chamber, a set of glass dishes, and a convenient replaceable 18650 battery for maximum longevity. Most vaporizers have a built-in battery that will lose their charge over time, but the Arizer Air can easily find a new life by replacing the 18650 battery with a new one. Only use batteries provide by Arizer to not void the manufacturer's warranty. You can also use an extra one as a spare battery to prolong your vaping sessions. The capacity of the included battery offers an hour of continuous use on a full charge, and the Arizer Air can also be charged while vaping! The Arizer Air is equipped with a 1-2 minute warm up time, an advanced temperature control system with 5 settings, and a built-in automatic shut off safety setting after 10 minutes of operation. 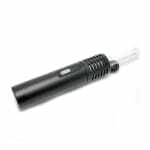 This vaporizer uses a combination of convection and conduction to heat and vaporize your dry herbs. 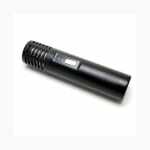 Extra Arizer Air batteries available here. 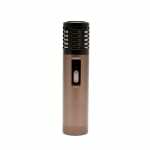 NOTE: Using any other brand of 18650 cell with the Arizer Air will void the warranty. I've had my current Air for almost two years, using several times per week. I use it specifically as a travel vape. For that, it is the best on the market at it's price range (pre-Arizer II). Experiences: My first Air broke after one week. With the excellent warranty and service Arizer replaced it and had a new one to me within a few days (Canada to Canada). I haven't had a problem on the new unit after almost 600 days. The biggest drawback of course is the battery life. An hour of continuous usage is hilarious, maybe on the lowest (white) setting. I only use Green and Orange/Yellow as my settings and am lucky to get 2-3 sessions out of it. Luckily you can buy more of these batteries on the cheap if you look around and I recommend owning at least 4 with a fast charge station for them. On a short 1-7 day trip don't even pack the charger, just toss the extra batteries in your bag. This is really the only con here. As of the unit itself, for price to quality ratio you can't beat Arizer. Def the king in Canadian Vaporizers early on here in the game. I own several of their products now. Using glass stems brings excellent vape quality and if they break they are cheap and easy to replace. The thing is real durable when using it's rubber condom covering. Without the covering, this thing is like a mini light saber, very small in the hand with a good feel to it. Excellent build quality. I've done the research, you can't go wrong with this vaporizer and I couldn't recommend it enough. Just note the poor battery life and easily breakable stems. After reviewing many ratings, I chose this model. Since it was my first vaporizer, there was a bit of a learning curve in finding the optimum settings. I've got about 3 hours of accumulated usage on it and I find that it is not as good as I thought it might be when I bought it. Firstly, the charging port is misaligned so the actual pin that you insert doesn't quite fit in a straight line. (it slants upward) Secondly, the battery goes flat pretty quickly. Finally, the beeper that indicates when its on stopped beeping. (it still lights the LED though) If it were a car, I'd call it a Cavalier. Truth be told, I was expecting an Accord. I have no experience with other models but I figure you might spend another $100 bucks and get something better. This device is amazing, only reason I gave it 4 stars instead of 5 stars, is because I wish the bowl was a little but bigger other than that, this vaporizer has great vapor production and flavor. 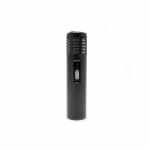 The biggest reason I choose this vaporizer over any of the other options that were available when I was vaporizer shopping is because it has a removable 18650 lithium ion batter. This is a huge benefit because I know when that battery gets old and stops holding a charge, I can buy a new 12 dollar battery and my vaporizer is as good as new. Another reason I chose this vaporizer is the maintenance is super easy to work with so I can effortlessly keep this device Clean which goes along way because it helps to maintain a good vaping experience ;). Stay medicated.